While listening to a talk show Saturday, I heard Rep. Blaine Luetkemeyer discussing John Boehner’s resignation. Luetkemeyer credited the outgoing Speaker with growing the largest Republican majority since 1947. So now we know the Speaker is responsible for those electoral victories. The credit was attributed to his ability to generate campaign donations. It’s not about the character, the platform, the virtues, the fiscal or social policies. It’s about the money. After listening to a lot of rhetoric about the direction of Washington DC, it seems like the representatives created this climate by choosing which Speaker could raise the most money for their reelection bids. This is common on all levels of government. We may never hear what the House members did to encourage John Boehner to leave, but we should hope that the Senators will do the same to replace their leader with one more interested in the good of America as well. It’s obvious that some of the members of both chambers were obligated to pay back their campaign debts by supporting leadership. Now that it’s mid-term, they should be able to select someone more interested in the best interest of our country instead of the best interest of the lobbyists. How smart are you??? The child just learned the magic words to get whatever he wants. The Republicans are IN THE MAJORITY. That makes them the “parent figure”. It puts the minority party in the position of the child. Why didn’t the Republicans run the country like this when they were in the minority??? Perhaps we can learn a lesson from the Democrats. The old expression is that one party is stupid and the other party is evil. Thanks, but kids will do better with math if they don’t get distracted by eating candy all day. The Democrats want candy and they want it now! We are under no obligation to pander, especially when the American people elected a congressional majority to Washington that “supposedly” stands for fiscal responsibility. At least the majority members claimed that when they were running for office and gave their constituents the illusion they would vote in a manner that is consistent with the Republican Platform. This is show time. If they don’t care about something as shameful and egregious as funding Planned Parenthood, then everything is at risk and there’s nothing that will matter. Furthermore, I have read the Constitution and guess what? It’s likely that the majority of the people need to read it more than I do. Show me where It says the Senate needs 60 votes! The 60 vote rule is nothing but merely a rule. The rules are not set in the US Constitution. The majority party can change that rule and get on with doing what’s in the best interest of the Nation. 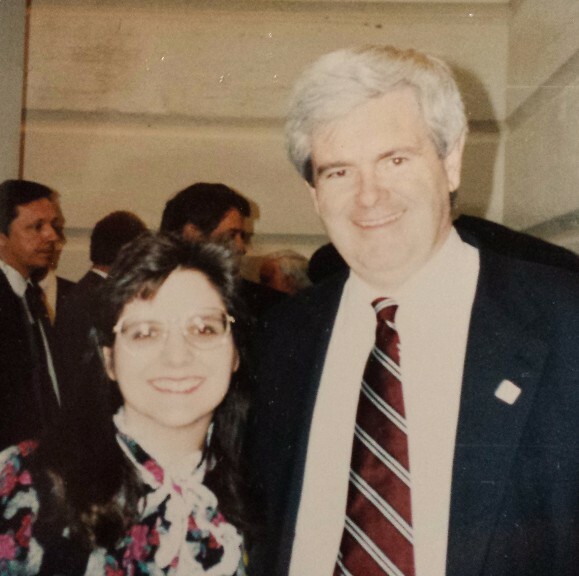 Around 1995, while attending a National League of Cities event in Washington, DC, I was invited to a briefing with the Speaker of the House, Newt Gingrich. I was an O’Fallon Alderman at the time and it was an honor to get to meet some of the players in the political theater. This photo was taken about 20 years ago—before digital cameras were invented! The point is we must never minimize the importance of the local offices. Here’s a trivia question: Who can guess the man sharing this photo with me? 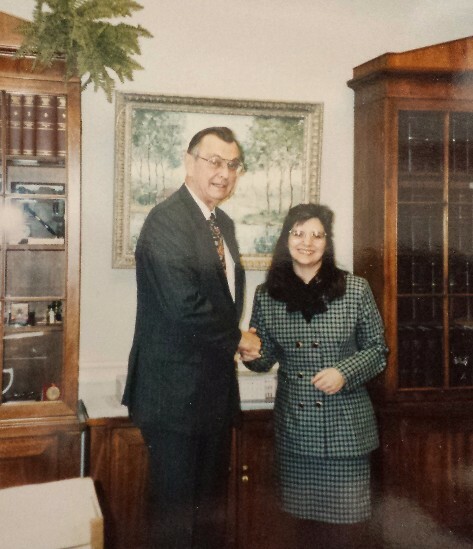 If you guessed my U S Representative, Harold Volkmer in his Washington, D.C. office, you are right! Very few people will even remember who he was, but our district back then went all the way up to Hannibal, MO. Even though he was a Democrat, he always treated me with a great deal of respect. Isn’t that what we all want out of our elected officials regardless of who is in control? Our best hope now is that the majority parties in both chambers will revisit their convoluted rules. The Senate could use a cleaning as well. 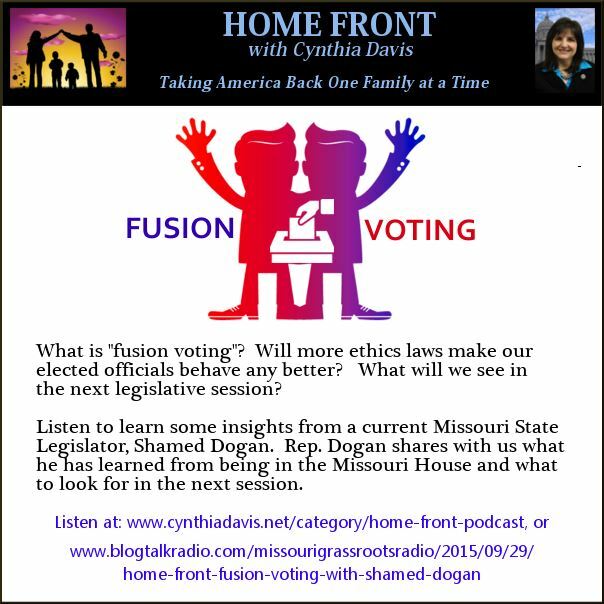 Congress needs to restore the power of the purse to the legislative branch. When Boehner leaves, his legacy will be that he tried to play both sides and ended up losing. As the Speaker of the House, his only job was to represent the House, not placate the Senate and the President. If I were able to deliver one message to the Representatives, I would urge them to quit being sissies. We want our Congress to behave in a fiscally responsible manner. We should expect our elected officials to deliver what they promised during campaign season. Is that too much to ask? 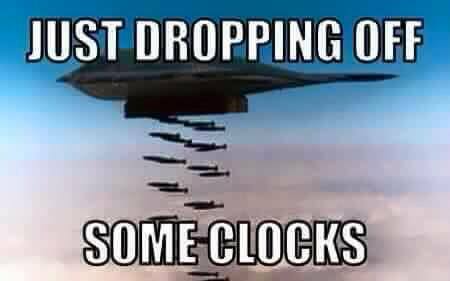 I agree, we need to stop sending sissies to Congress. Instead, we need to send mothers who know how to deal with spoiled brats. This helped me to focus on the heart of the problem so we can apply the right remedies. Please keep up your research and continue to alert us to be “Minutemen” in guarding our freedom and being better prepared to preserve and protect our families.